Photo of: East Coast of Ireland: Louth: Mornington. A view of the Boyne Estuary at Dawn taken from Mornington. 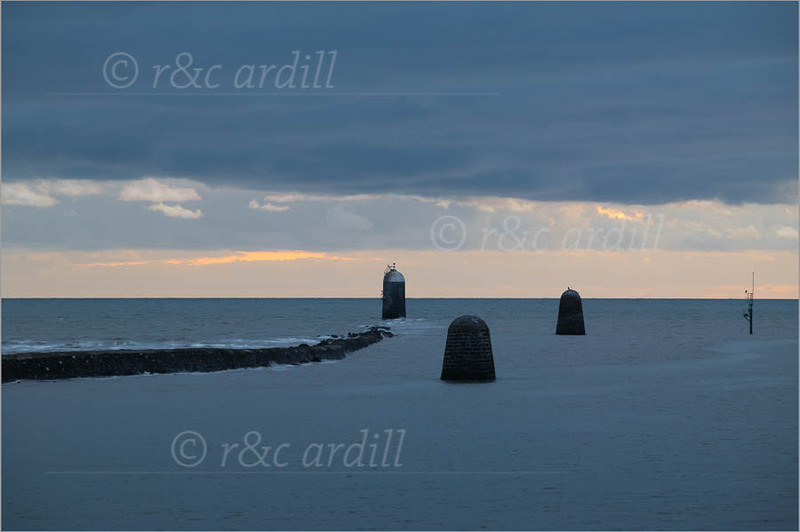 The breakwater, lighthouse and stone navigation pillars mark the end of the Boyne and the start of the Irish Sea.